In many cases, there can be signs of problems before significant injury or death. In the case of bed sores, for example, minor skin problems and pain are a precursor to stage-4 ulcers, which often lead to infection and death. For elopement, visiting family might notice that facility staff do not continuously monitor the exits. 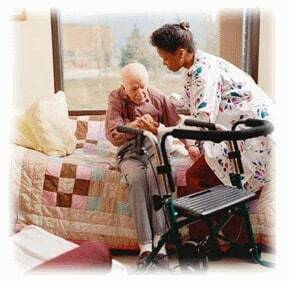 Many patients require special beds, or use of rails, or assistance walking to the bathroom to prevent falls. If those devices are not in place or used, or if the resident complains of long intervals between bathroom trips, the resident is at serious risk of a fracture. Finally, complaints by residents about the demeanor of staff should be taken seriously because they are a harbinger for abuse and neglect. It was nice to speak with you yesterday. I am glad to hear you are aware of my our concerns with respect to my mother's bed sores. I appreciate your willingness to go the extra mile so that this problem does not continue by additional steps to ensure that this situation is properly monitored. I appreciate your willingness to step in and help navigate my Mom's care. This does not antagonize the nursing home but leaves a clear record of your concern and your agreed upon expectations to resolve these concerns. Sometimes, you do everything you can and the nursing home still fails to provide adequate care. We fight these cases to win. Our law firm has a track record of success in getting money for victims when something awful happens. If you believe that you or someone you love has suffered a serious injury as the result of nursing home abuse or nursing home neglect, call 800-553-8082 for a free Internet consultation to discuss your claim. There is no fee or cost unless a recovery is obtained for you. How much are nursing home lawsuits worth in Maryland? Nursing Home's Expert Report: see how they fight these cases, even a slam dunk like this one.